I am using the latest version of Cubecart with Noodleman skin. Welcome kurraglen! Glad to see you made it to the forums. I don't have a copy of Noodleman skin, but I assume it is a variant of Foundation. You can edit the file cubecart.css or cubecart.default.css. I recommend cubecart.default.css. You need to have CubeCart clear its internal cache, and possibly force your browser to reload page resources (generally by CTRL-F5). I think you are correct in that the Noodleman skin is based on the Foundation skin. I did as you suggested and it does have the desired effect but the problem is that it then covers up some of the bottom of the pages. I have attached an image. What would you like it to do, otherwise? 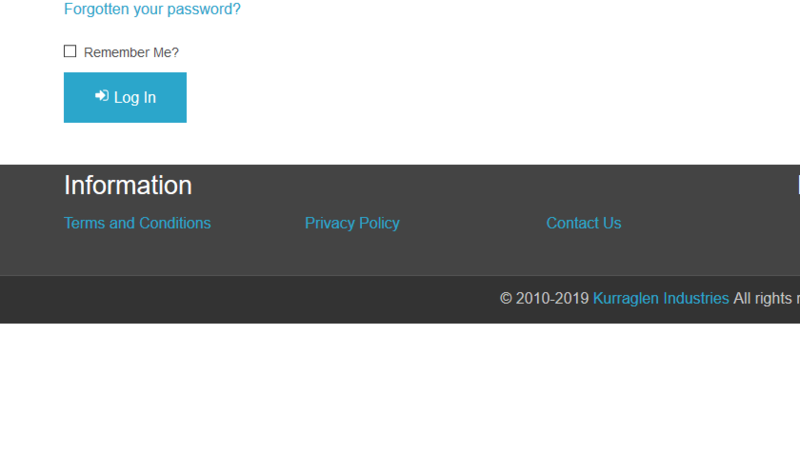 It would be good if it didn't cover up the bottom of the page because there is the register button that a user cannot click on. It won't scroll past what I showed on the first screen shot. We need the footer to stay below everything on the page - below even the very last bit of normal page contents? Isn't that what it did before the edit? Oh, wait. I think I see what you are after. Maybe that's because a side panel is that tall. But I think I see what you want. I did something similar to a test install some time ago. But it only works with keeping things stuck to the top. We may need to find something else. I will do some playing around. Odd that on every other static website that I have done, that css for the footer worked. Thanks again. The above is just an experiment. We will need to put the correct CSS in a CSS file. This does not work out as well as I had thought. When viewing on a mobile device, the footer takes up the whole screen - just at the bottom - like the sticky is supposed to. So, we will need to find a way to make the Documents box a lot smaller in the small view. Maybe make it an off-canvas box. is an ancestor container (to the sticky div) that has overflow:hidden. Apparently, this destroys the stickiness. So, the edit to that statement closed the div blocks, leaving the rest of the page as a sibling. That allowed the stickiness to work. Closing the off-canvas block early - that is, not having the main page content within the "inner-wrap" block - makes the off-canvas fly-in menus not work at all on a mobile screen. I will keep experimenting and let you know if and when I find a solution. Currently, my approach is to make the documents box an off-canvas thing.